Window treatments are an often overlooked detail, but outdated and aging blinds, shades, or shutters will ruin your room’s atmosphere quicker than peeling wallpaper. However, finding a modern covering that re-energizes your space without disrupting your home’s interior design theme can be a challenging task. At Knox Blinds, our pros will evaluate your rooms, providing reliable recommendations on the best solutions for your rooms. Need contemporary window treatments? Browse through our wide selection of high-quality products to find your perfect pick. At Knox Blinds, we believe that shopping for a new window treatment should be a comfortable and painless experience. During your free in-home consultation, our pros will bring along samples of our many products, giving you the opportunity to see our blinds, shutters, and shades firsthand. Schedule your consultation today – call 865-544-8339 to speak to one of our pros. Woven wood shades are a beautiful, natural alternative to traditional blinds. Constructed using a wide variety of different wood types – such as bamboo and sturdy grasses – the color and style of this window treatment can be customized to suit your exact tastes. 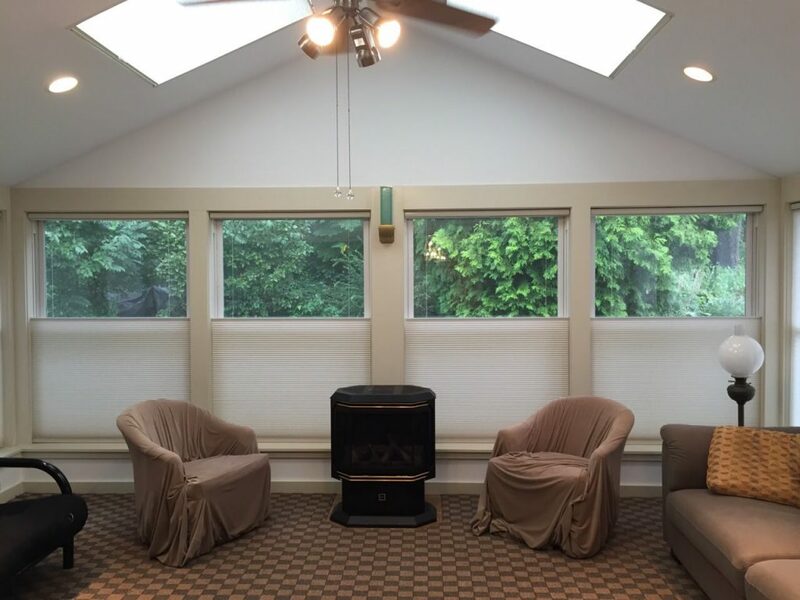 While woven wood shades provide the same level of privacy as other coverings, most are designed to let in a small amount of light when they are closed, insulating your home without darkening your space. Gain access to advanced light control, immediate privacy, and insulation with just the push of a button. Motorized blinds or shades will transport your home into the future, giving you the same traditional designs minus the hassle of wrestling with cords and drawstrings when it’s time to block out the midday glare. While shutters have their roots in ancient Greece, modern versions of this popular window treatment are anything but antiquated. Our plantation shutters are engineered and manufactured to maximize their lifespan, giving you a stylish, new window treatment that will serve its purpose for generations to come. A contemporary window treatment will breathe new life into your home’s outdated spaces. The pros at Knox Blinds will help you find the perfect blinds, shades, or shutters to modernize your home. Contact us at 865-544-8339 today to get started.